As the company’s full-service agency, we have worked with Dermody Properties on just about every type of project imaginable, from web development to public relations to brand management. Dermody Properties is a national industrial real estate development and operating company that KPS3 has had the privilege of working with for nearly two decades. In that time we’ve been through a variety of changes and economic cycles: rebrands, the advent of the Internet, their history-making portfolio sale and huge national growth. As Dermody Properties has evolved over the years, so has their brand. We’ve developed the brand through name changes, and adapted it for sub-brands, such as the Dermody Properties Foundation. 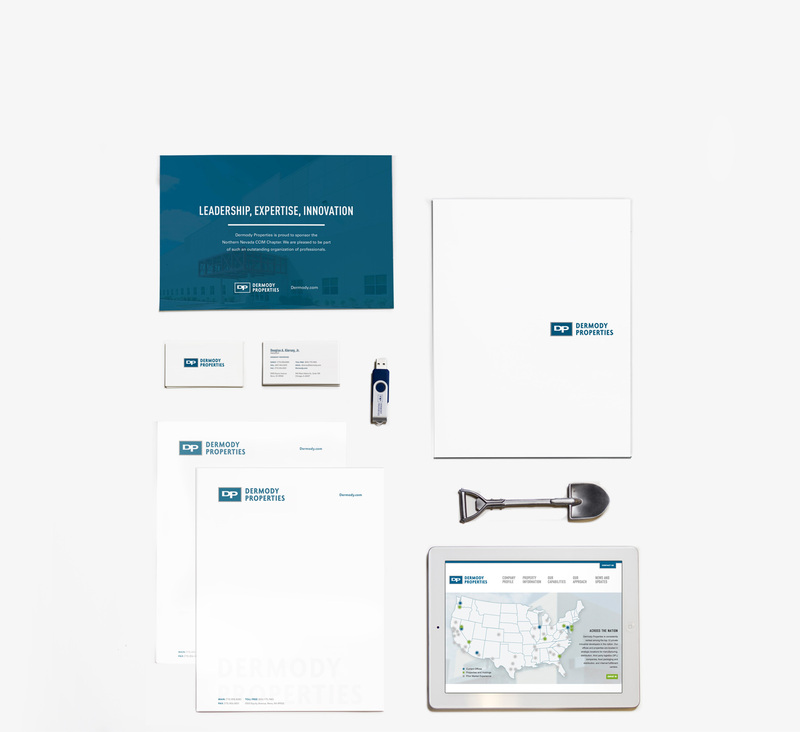 For the past few years, we have focused on working with the Dermody Properties team to update and evolve their brand messaging and visuals to reflect the company’s changes. The company’s national expertise, commitment to excellence and reputation of incredible customer service are reflected in its corporate identity, brand standards, brand visual elements and brand messaging. Dermody Properties is headquartered in Reno with offices in Chicago, Philadelphia, Phoenix and Seattle. They have brokers, capital partners and facilities in dozens of markets across the country. We work with the Dermody Properties team to ensure their brand is protected and consistent across all of their markets, offices and partners. We created an online employee toolkit that can be accessed by team members at all five of its offices across the country. Team members can use the toolkit to access everything from logo files to brand standards to property brochure templates. Public relations, relevant and frequently updated website content, excellent code and keeping Dermody.com up to date on the best SEO practices have all contributed to Dermody Properties’ national search engine success. 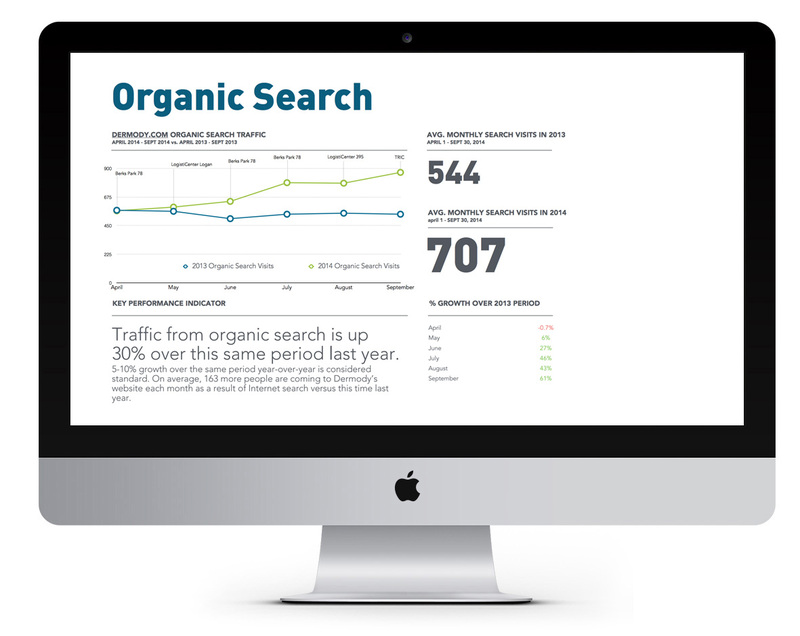 We have been able to increase traffic to the site by 25% in the last year alone, and traffic from organic search is up by 30%. Perhaps most importantly, over the past three years we have been able to make Dermody Properties a leader in their priority search terms nationally. We are constantly developing and publishing content to further the company’s position as experts in industrial real estate. PR and expert content creation have been critical components of our national marketing efforts for Dermody Properties. 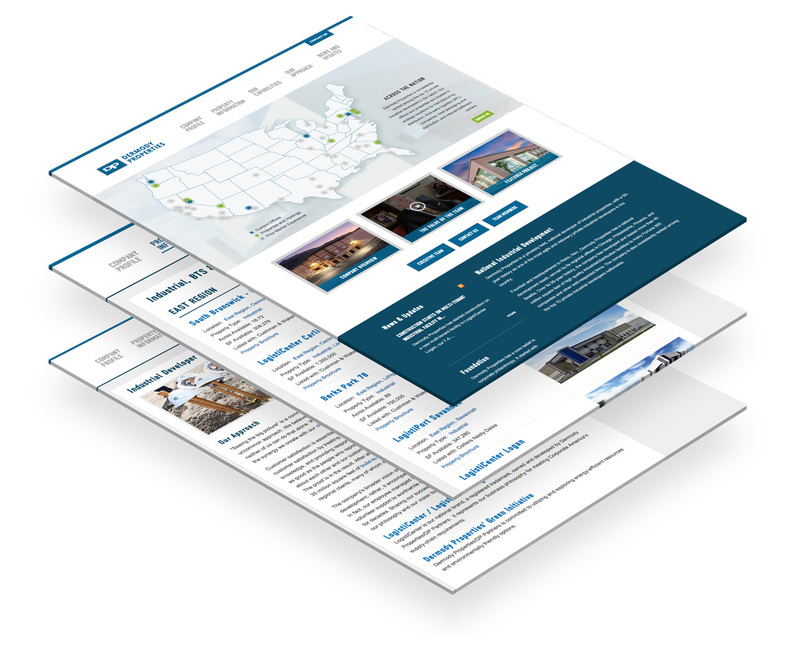 We work with regional publications in their markets to help create brand awareness when Dermody Properties enters a new market, and we work with the management team to publish articles in key national publications to build brand awareness. Our public relations work with Dermody Properties has spanned print, web, video and social media. In 2013, KPS3 evaluated and made improvement recommendations for each individual LinkedIn profile of the company’s key, client-facing team members as well as for the company’s page. After our recommendations were implemented, traffic to Dermody.com from LinkedIn increased significantly. Dermody Properties frequently hosts groundbreakings and grand openings to market new properties, educate the leasing community and celebrate new tenants. We help plan, coordinate and, most importantly, get media attention. Together we’ve hosted many successful events across the country. In 2011, Dermody Properties turned to KPS3 to redesign and redevelop its website. We’ve been updating and maintaining the site ever since. When we first designed the website, the focus of the design and content was to introduce users to communicate the company’s brand and values to visitors. Now three years later, the company’s brand recognition has increased and the website’s purpose has evolved. We have adjusted the design and content to emphasize the company’s expanded national capabilities and their increasing number of facilities available across the country. We have used eye tracking studies to help us determine what design changes to make and to build lead tracking functionality at key points in the user’s path to help the Dermody Properties team capture contact information. One way Dermody Properties has been able to keep in touch with its key audiences - brokers, capital partners, tenants, political and community VIPs, and reporters in their markets - has been through email marketing. We work with their management team to maintain a segmented database of key contacts and only send out content that these audiences are interested in. Rather than taking a regularly scheduled approach to email, we take a content-focused approach to our email marketing, sending out emails only when the company has newsworthy announcements (which is quite often). We believe this approach has been one of the biggest contributors to the company’s success in email. The company’s opt-out rate is consistently under .2%, and their open and click-through rates are usually well-above averages for their industry. Partnering with Dermody Properties has been a true success story. 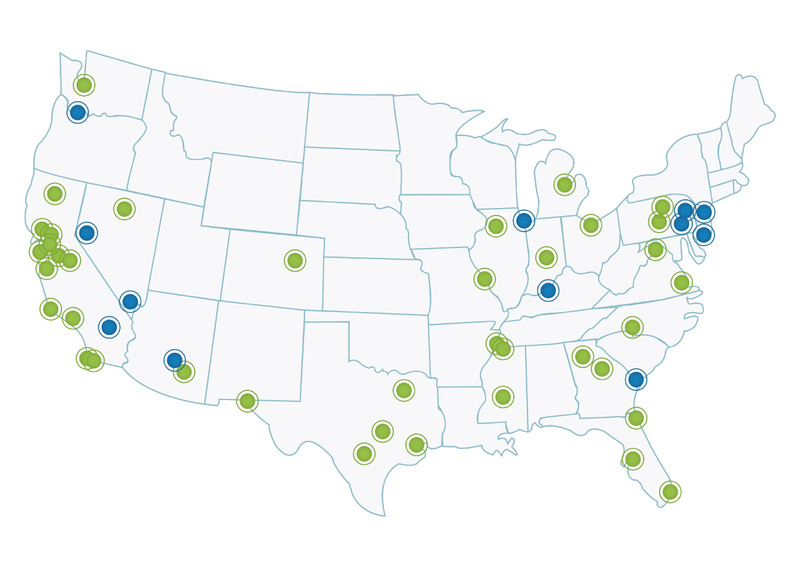 Brand recognition has increased nationwide, and we continue to work towards constant growth and improvement. Whether it is seeing an uptick in articles read, webpages visited, emails opened or key terms searched, we share a passion to lead the industry -- now and in the future.